The tuition is set annually and is in effect from October 1 to September 30. New tuition rates are effective October 1st. Rates listed below are broken down by month. The initial non-refundable deposit of $500.00 is due upon acceptance of enrollment packet. This deposit may be credited to the last month’s tuition with 30 days-advanced written notice. Monthly tuition is paid in advance and is due on the first of each month. Please make a written request to the office to receive a monthly receipt by email. There is no tuition credit for vacation or sick days. “Tuition is due” reminders will be posted in the rooms every month. To assure proper credit for payments and Parent Work Hours, please return your monthly payment in the envelope provided. Write your family name in the space provided. If you are submitting Parent Work Hours, fill in the number of hours, the date and the name of the activity in which you participated. Place the tuition payment envelope in the office mailbox provided in any classroom. If payment is received after the fifth of the month, a late fee of $35 will be charged to your account. Money collected will be used for staff development. If payment is not received by the morning of the tenth, your child may not attend school that day unless the late payment has been discussed with the Director prior to 2:00 p.m. of the ninth. The Director has the authority to negotiate whatever payment plan is appropriate to bring the account up to date. Late payments received after the tenth will have an additional late fee of 5% of the outstanding balance assessed. The only exception will be if the fifth or tenth falls on a weekend; the condition will apply on the following Monday. If a child’s tuition is one month in arrears his/her enrollment will be terminated. If a child’s account has been delinquent after the tenth four times during the school year (October to September), enrollment will be terminated. Director. Parents are requested to inform us in advance, whenever possible, if a child will not attend regularly scheduled days. This way spaces are freed for other parents’ needs. As spaces become available, additional days may be used if a Lead Teacher or the Assistant Director gives permission. For these non-reserved extra days, the fees vary depending on the child’s age group. You will be required to pay the Teacher on that day at drop off time. The Center’s overall goal in offering tuition assistance is to provide help to those who need it most. Funds for tuition assistance are limited and can only be offered on the basis of availability. Parents are expected to contribute towards tuition to the extent they are able. Assistance is offered for a specified period of time and is subject to review at the end of that period. Factors considered in determining need include income and expenses, amount of savings and number of dependents. 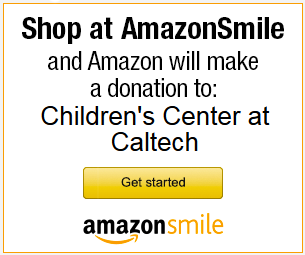 Caltech and JPL have financial assistance programs for child care purposes. Employers may also offer a tax advantage Flexible Spending Account (FSA) that can be applied to child care costs. More information can be found by contacting the employer’s human resources department. Withdrawal from the Children’s Center or reduction/increase of the number of days per week enrolled requires 30-day notice to the Office (just informing your child’s Lead Teacher is not sufficient). The notice must be in writing. If less notice is given, tuition will be charged as follows: tuition for one month, minus the number of days (if any) for which the notice was given. As your child transitions into different rooms or you request a schedule change, please complete a new tuition contract. Typically, as your child moves into an older classroom the tuition decreases.